A bunch of new stuff hit Netflix at the beginning of the month, as usual, but the immediately standout was Billy Wilder’s Sunset Boulevard. Wilder is known for his cynical yet often uproarious approach to his films, and here he turns that cynicism directly toward Hollywood, making one of the most scathing and ruthlessly entertaining movies about the movies you’ll ever see. 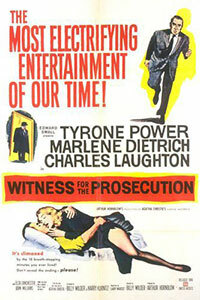 In true film noir fashion, our hero (?) tells the story of his inevitable undoing in flashback – but not only is he in existential defeat, as noir heroes usually are, he’s actually already dead, floating facedown in the pool of a decaying mansion on Sunset Blvd. His relationship with faded silent screen star Norma Desmond (played by silent screen star Gloria Swanson) takes up the bulk of the film, and Norma is a gloriously over-the-top character. This film is not going for realism in any way, but it’s about as perfect an encapsulation of Gothicism in a Hollywood setting as you could wish to see. All the extra little touches Wilder brings are great, too, particularly in the casting. Erich von Stroheim plays Desmond’s butler, but he also used to be her director – Stroheim himself was a director (and actor) in the silent era, and directed Swanson in the unfinished Queen Kelly, footage from which is used within Sunset Boulevard. Stroheim’s relationship with Hollywood studios was notorious, baggage which certainly informs the critique Sunset Boulevard makes about the way the system chews people up and throws them away when it gets done with them. It’s kind of amazing Wilder even got this film made in Hollywood, to be honest – he doesn’t say a lot of good things about the system. 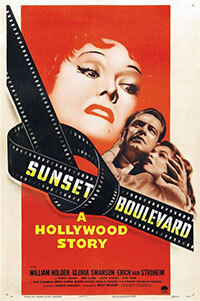 In looking for a good double feature to go with Sunset Boulevard, I first thought of other films about Hollywood with similarly dark tones – Mulholland Drive, The Bad and the Beautiful, etc. But none of them were streaming. 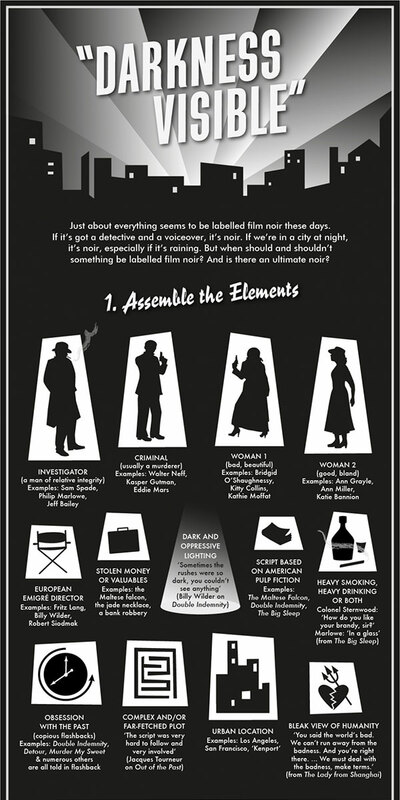 I thought I was going to have to go with a typical director pairing and choose Double Indemnity (which would be a good double feature, mind you), but then I thought why not pair one of the greatest films about Hollywood with one of the greatest films about the stage – and they just happen to have been made the same year! 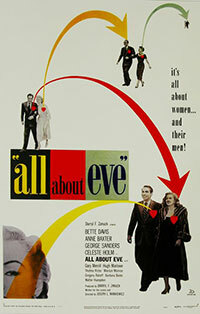 All About Eve follows eager fan Eve Harrington (Anne Baxter) as she worms her way into the life of established stage star Margo Channing (Bette Davis), but her intentions may not be the best. 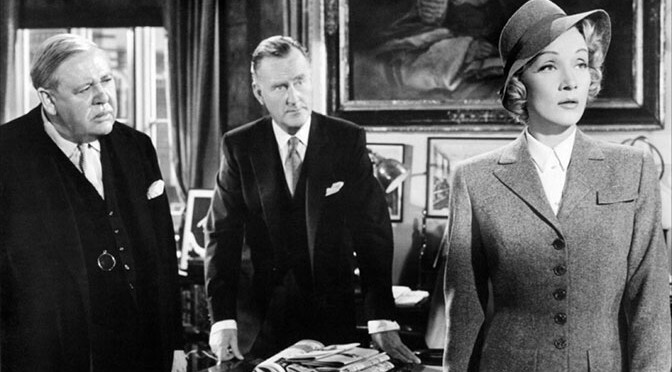 This is one of Davis’ absolute best roles; Margo’s combination of star power and neuroticism make her one of the great characters of the screen, while Baxter amazingly holds her own as the scheming Eve. That they were both nominated for Best Actress Oscars is fitting, though they may have split the vote (the Oscar went to Judy Holliday for Born Yesterday, a good film, but it ain’t All About Eve). Growing up, I saw many of the classic Disney films – Pinocchio, Bambi, Cinderella, Sleeping Beauty, Lady and the Tramp, etc. 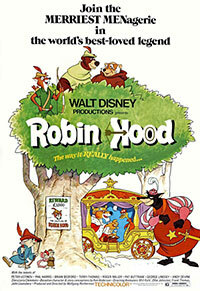 – but as a child my favorite one was without a doubt the 1973 version of Robin Hood, with a foxy Robin Hood and Maid Marian, a petulant shorn lion as Prince John, and various other characters given appropriate animal form. I didn’t know it at the time, but Disney was in recycle mode here, not even bothering to disguise the re-use of Baloo the Bear from The Jungle Book as Little John, or the King of the Animals from Bedknobs and Broomsticks as the ineffective Prince John. Sometimes there’s something to be said for ignorance, and my childhood glee at watching and rewatching this film is something that will never escape me. I’ve heard others who saw this film first as adults say that they didn’t like it much at all, but I’ll never be able to watch it without nostalgia glasses, I guess. Thankfully, Jonathan feels the same way about it, so at least I have one very important person on my side. 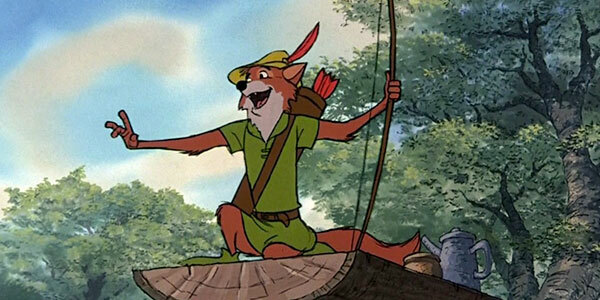 If you do have kids who are into adventure but may not quite be ready for the 1938 Errol Flynn The Adventures of Robin Hood quite yet, give the Disney version a try. It’s a good stepping stone, and they won’t know that it falls into Disney’s “lazy” period. There’s a lot of good streaming media out there these days, if you know where to look for it – Netflix is still a major player, but as they move more and more toward TV shows, others are taking up the slack. These Stream It! columns may pull from any of the major streaming services, and will be sporadically produced as I have time and feel called. Films often expire from these services, so if you’re reading this from the future, the films I highlight may no longer be available. 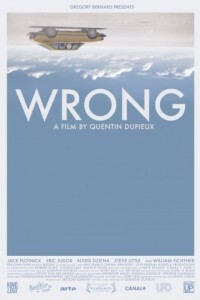 Quentin Dupieux’s Wrong is as delicious a dry humor absurdist comedy as you could wish for. 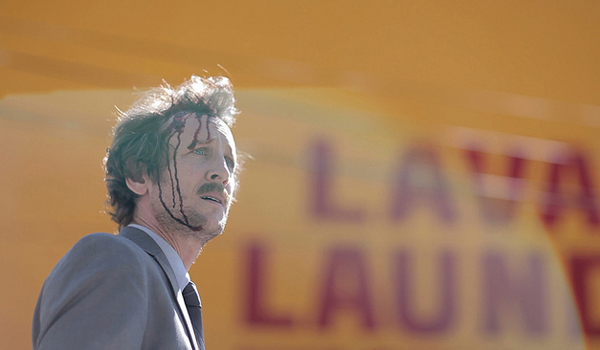 It ended up in my Top Ten for 2012, and here’s my capsule review from when I saw it at 2012’s AFI Film Festival. I was a pretty big fan of Quentin Dupieux’s previous film Rubber, and I may have loved Wrong even more, with its full-blown absurdity bolstered by an ever-so-slightly more substantial story. Dolph Springer wakes up one morning to find his beloved dog missing, an event that sends his already spiraling life even more out of control. Other things he’s dealing with: his workplace is constantly raining (yes, inside the office), his coworkers seem very intent that he doesn’t belong there, his neighbor and seemingly only friend leaves suddenly on a driving trip to find himself or something, the girl at the pizza place seems to have developed an obsession with him, and what’s more, the palm tree in his backyard has mysteriously turned into a pine tree. 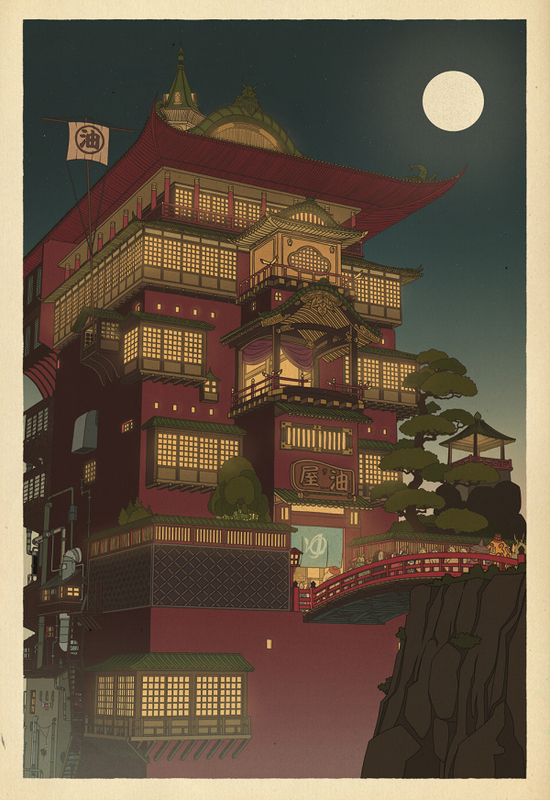 “There shouldn’t be a pine tree here. It doesn’t make sense.” No, it doesn’t, and neither does anything else in the film – except, as true absurdity should, it sort of does, right down to the eventually-revealed reason for the dog’s disappearance. Everything in the film is wrong, from obvious things like it raining indoors and trees randomly changing types to the ways people interact with each other. It’s a perfect storm of the awkward and nonsensical, and thanks to the deadpan script and actors’ perfect timing throughout, it’s absolutely hilarious even as you feel bad for these people who can’t quite manage to get along in any way that even resembles normalcy. It’s definitely getting my vote for funniest film I’ve seen this year, and I think it’s safe to say that Dupieux is perfectly tapped into my sense of humor. 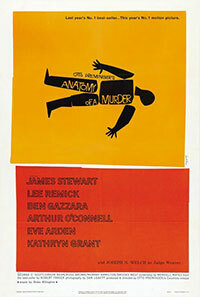 Both films treat absurdity with a matter-of-factness that I find simply delightful. In Wrong, as mentioned above, it’s raining in Dolph’s office. 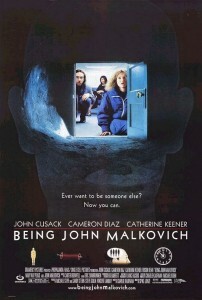 In Being John Malkovich, John Cusack’s office is on a half-floor, and everyone has to crouch to be there. Crouching around, he notices a mytserious door and goes through it, finding himself temporarily in the head of John Malkovich, a discovery he decides he can profit on by selling it as a weird sort of tourism. Both films carry out their premises to ridiculous conclusions, and they’d make a great double feature.